Light coloured wood colour washed with white inset . 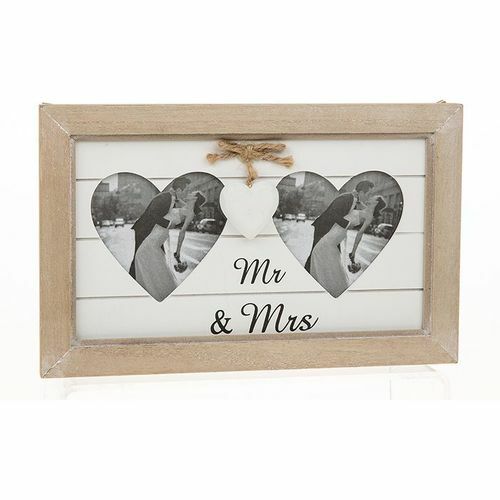 With the wording "Mr & Mrs"
2 cut out hearts which will hold photos 3.5 x 3.5 inches. Can be free standing or wall hung overall size 10.5 " x 6.5"